When you’re looking for the vehicle that fits your lifestyle, you need to have a dealership that you can trust. Our team at Joseph Airport Toyota offers you a large selection of used cars, excellent service, easy financing, and a friendly staff to make sure you know that we are the team you can trust in the Huber Heights, OH area. Stop by and see what we have in stock for you today. There’s more to the affordability of a vehicle than just the price you have to pay. You need to know you’ve got a vehicle you can trust on the road that won’t have you in repair shops every month. You also need to have a maintenance program that fits into your budget as well. When you choose one of the used cars we offer, you’re going to have a reliable vehicle that will keep you moving and out of the repair shops. Drive with confidence after you choose the car that fits your lifestyle and your budget at our dealership location today. You want comfort, style, and technology in your used car, and finding a place that offers several different models that will work for you can be a relief. Check out the amazing selection of used cars we offer at Joseph Airport Toyota and you’ll see that you can find exactly what you need to make sure you have the drive you’re looking for. Ask our team about the used cars selection on our lot and take a test drive today. 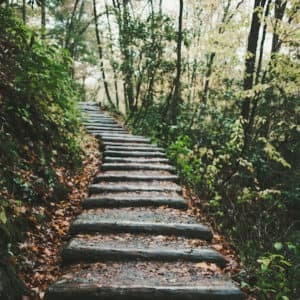 You’ll be pleased to find the right model for your daily commute or weekend adventure and know that you can pay less so you can stay within your budget. If you find one of the models on our lot that has the Yes Plan shield on it, you’re going to be in for a treat. This shield means you’ve found a vehicle that meets the rigorous standards of being a vehicle that offers you a certified lifetime powertrain warranty to give you the assurance you need. You won’t have to worry about the powertrain letting you down, we offer this protection to give you the peace of mind you desire. Come in and let our team show you the different models that are eligible for the YesPlan. When you’re looking for your next used car, whether for commuting or as a weekend warrior, it’s important to have a team that you can trust and turn to for quality and affordability. 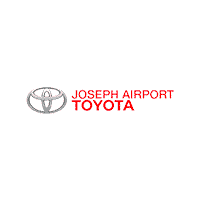 Our team at Joseph Airport Toyota has everything you’re looking for and more. Visit our service center after you choose your dream car and create a service program that will keep your vehicle running in tip-top shape. Pick out the vehicle you’ll drive around Huber Heights, OH with our team today. When you pick one of our used cars, your destination could be anywhere. We have a great inventory of used cars for you to pick from, all you have to do is choose where you will go next. It could be as simple as a day at Taylorsville Metro Park where you can picnic and enjoy the sunshine. No matter where you go in your used car from Joseph Airport Toyota, you know we have your back thanks to the YES Plan warranty.